On September 20th, Manfred Nowak, United Nations (UN) Special Rapporteur on Torture, spoke to the UN Human Rights Council in Geneva and described what he sees as the widespread use of torture in the People's Republic of China (PRC). During the discussion time after Mr. Manfred's speech, David Kilgour, co-author of the "Report into Allegations of Organ Harvesting of Falun Gong Practitioners in China", spoke to the audience and pointed out that the Chinese Communist regime’s brutal persecution of Falun Gong is appalling. 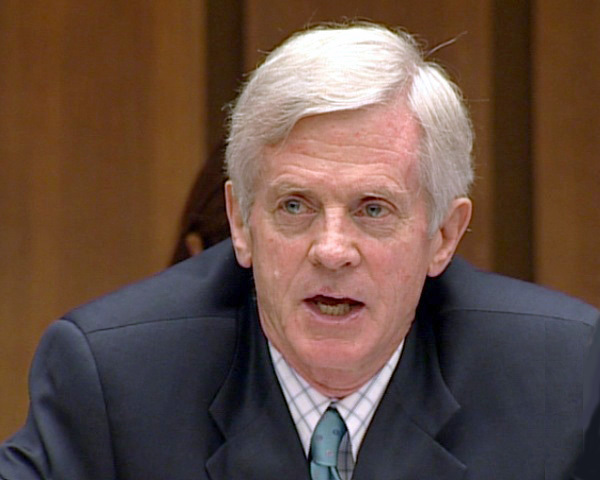 Kilgour said: "Regarding whether or not the Chinese Communist regime has been harvesting organs from Falun Gong practitioners and then cremating the remains to destroy evidence, human rights attorney David Matas and I jointly released an investigation report in July. In our report, we have come to the regrettable conclusion that the allegations are true. We carefully assessed 18 different elements of proof or disproof." Kilgour said that many Falun Gong practitioners detained in Chinese prisons have been subjected to blood tests and physical examinations. Because they at the same time have been subjected to torture and slander, he pointed out that such physical exams are not prompted by the authority’s concern for practitioners' health. Kilgour also highlighted the fact that the waiting time to obtain matching organs is extremely short in China: just a few days or several weeks comparing to several months or even several years in other countries. "This suggests that there is a large live organ bank in China," Kilgour said. The Canadian independent investigation report has raised wide attention from the international community, and many human rights organizations and renowned public figures have expressed their support to further investigation into these atrocities.